Grave Reference: Sec. K. Grave 358. Additional Info. 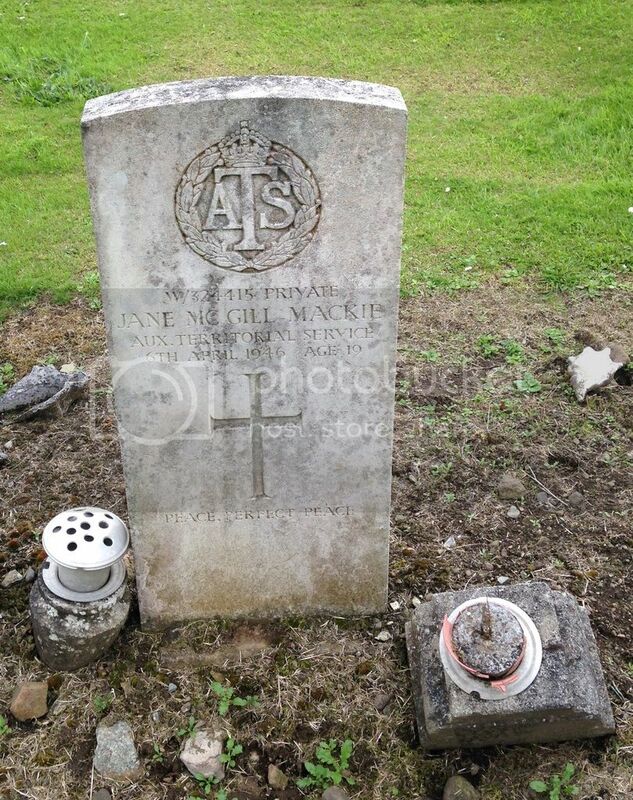 Son Of Alex And Margaret Adie; Husband Of Agnes Adie Of Lochore. Unit/Ship/Squadron: 485 Bty., 145 Lt. A.A. Regt. Grave Reference: Sec. H. Grave 165. Additional Info. 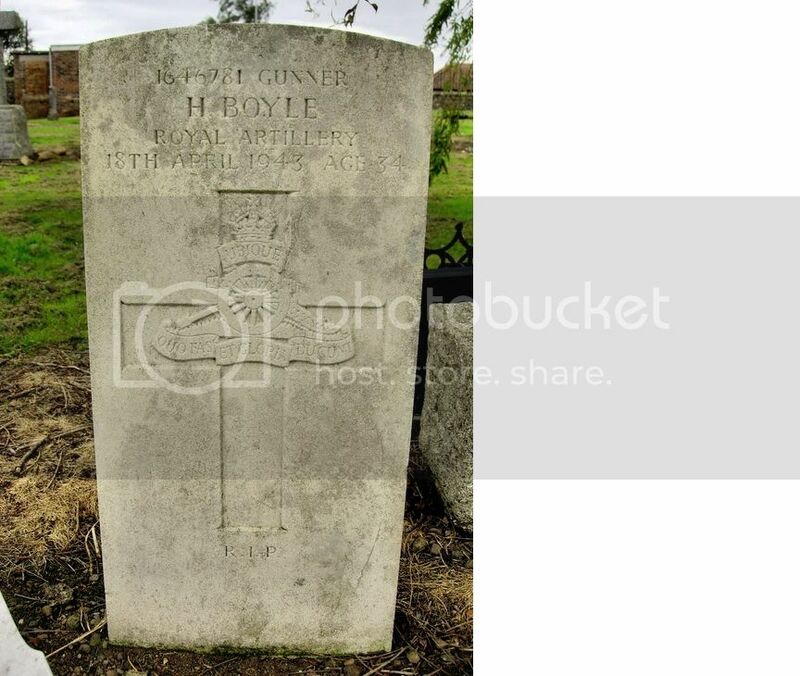 Son Of Charles and Jane Boyle of Lochore; Husband of Margaret Boyle. Additional Info. 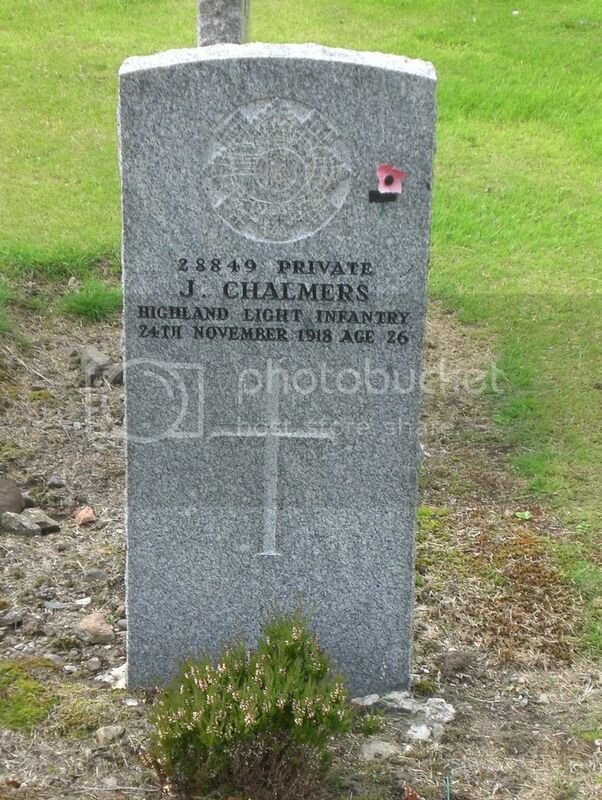 Son of Robert And Isabella Chalmers of Wellsgreen, Wemyss; Husband of Janet Snaddon Chalmers of 52 Alexander St. Devonside, Tillicoultry. Grave Reference: Sec. 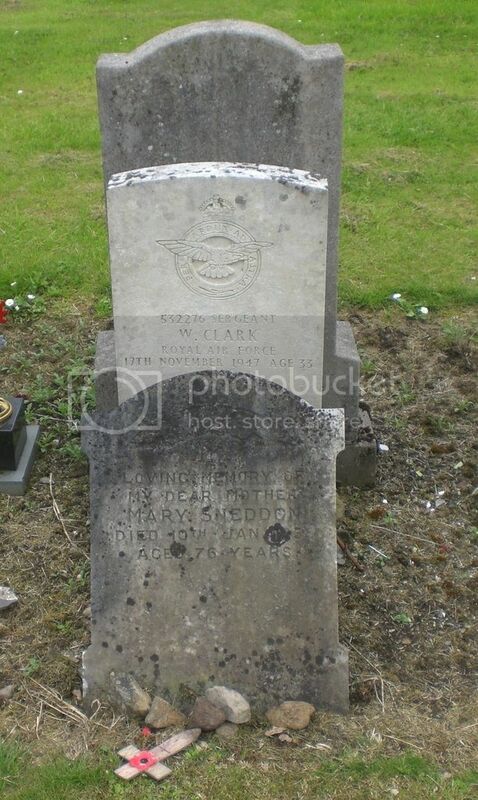 K. Grave 324. Additional Info. Son Of William And Agnes Clark; Husband Of Florence Marie Clark, Of Lumphinnans. 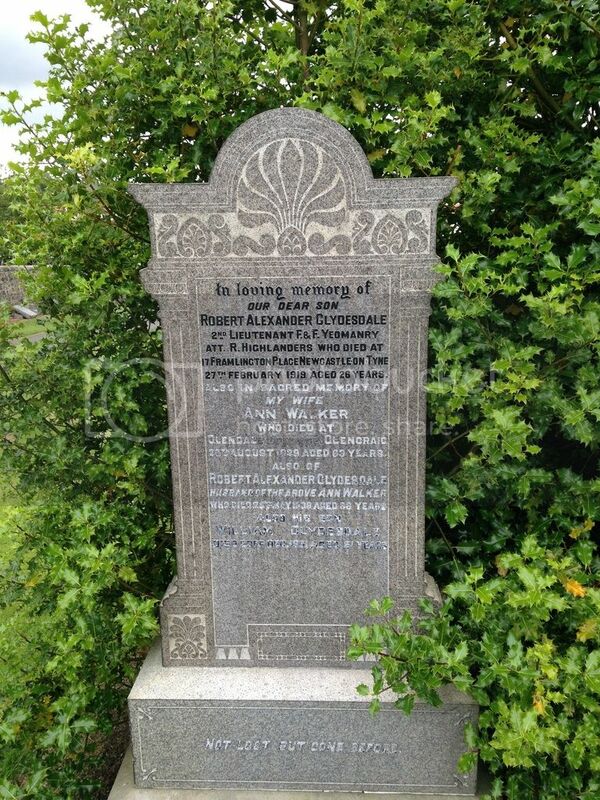 Son Of Robert And Annie Walker Clydesdale of Glendale Cottage, Glencraig, Fife. Born In Fife. Posted: Tue Oct 25, 2016 8:07 am Post subject: Davidson, B. Grave Reference: Sec. K. Joint grave 237. Additional Info. 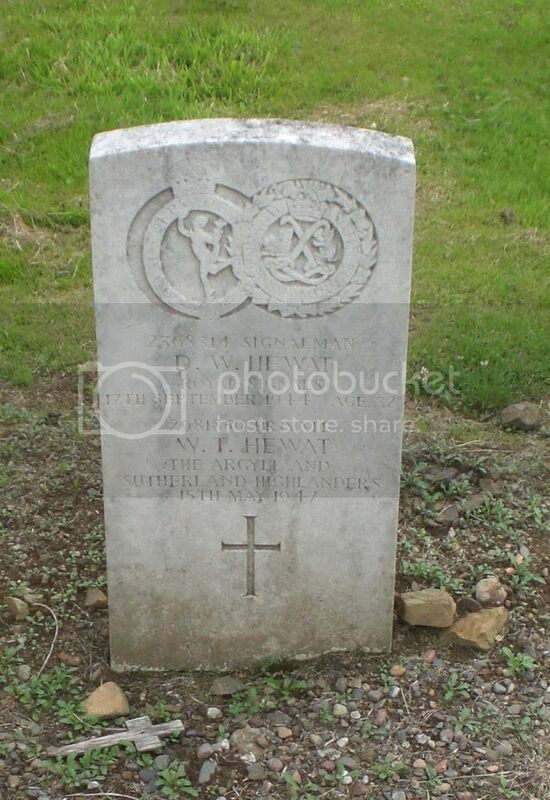 Son Of George And Mary Hewat of Glencraig. Grave Reference: Sec. J. Grave 547. Additional Info. 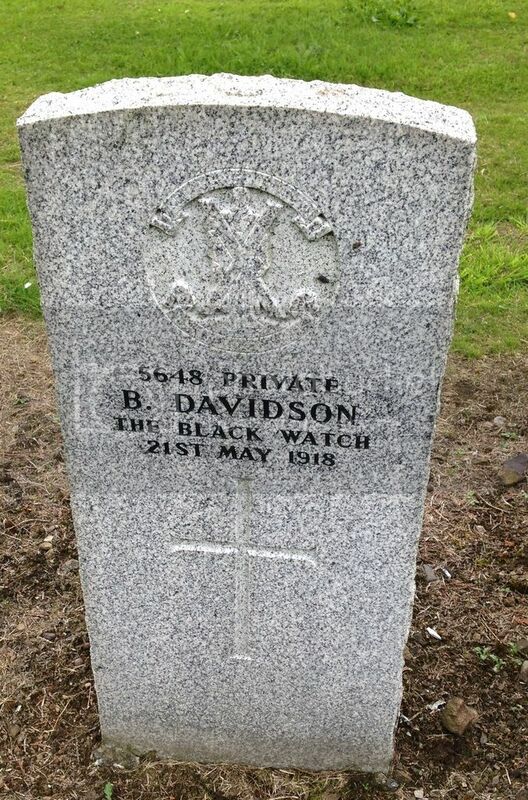 Son of William And Mary F. Hutchison of Lochore. Posted: Tue Oct 25, 2016 8:20 am Post subject: Kane, H.
"Additional Info. 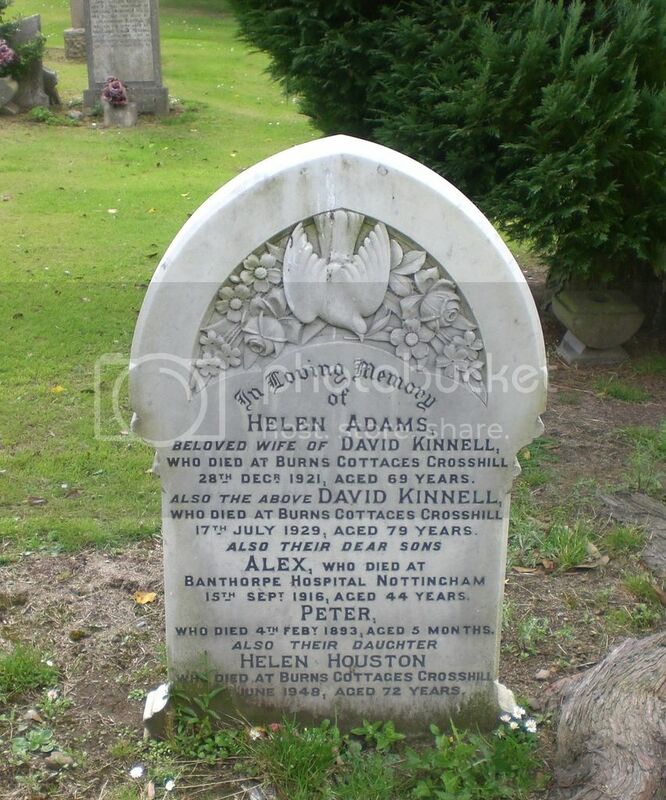 Son Of Cornelius And Mary Kane; Husband Of Mary Gorman Ferrigan (Formerly Kane) Of 33 St. Leonards Hill, Edinburgh. Military Medal gazetted on 25th January 1918. Bar to Military Medal gazetted on 25th April 1918. D.C.M. Citation reads 'For conspicious gallantry and devotion to duty. 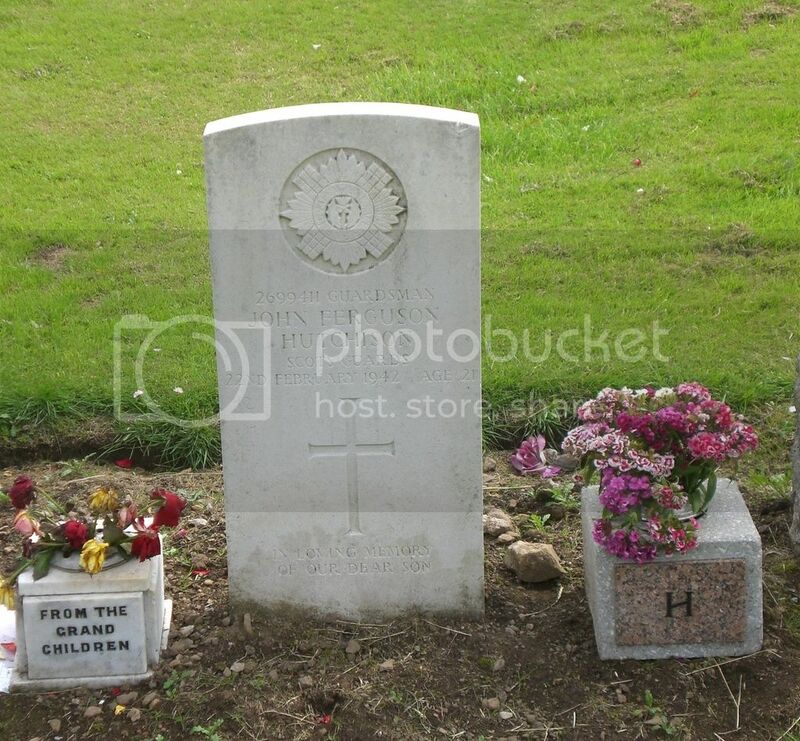 When several men were buried by enemy shell fire he dug them out under heavy fire in full view of the enemy, who were only eighty yards away. He showed splendid courage and resource. London Gazette Supplement No. 30664, Page No. 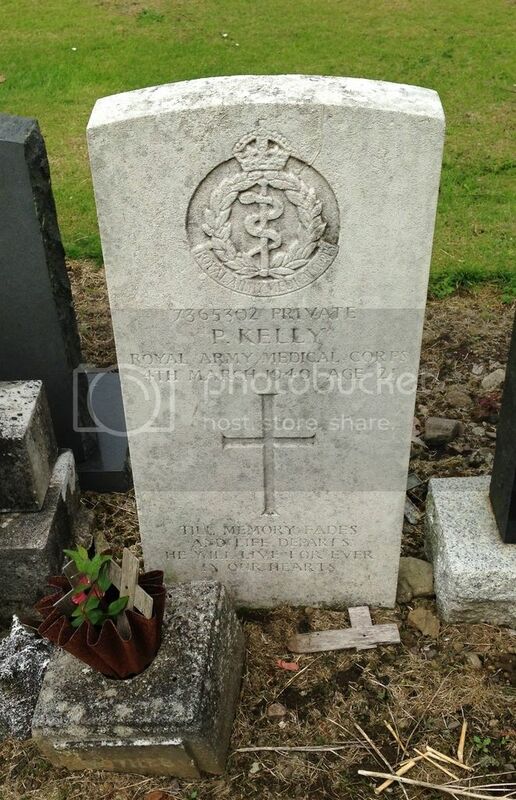 5301 dated 30th April 1918. Grave Reference: Sec. H. Grave 189. Additional Info. 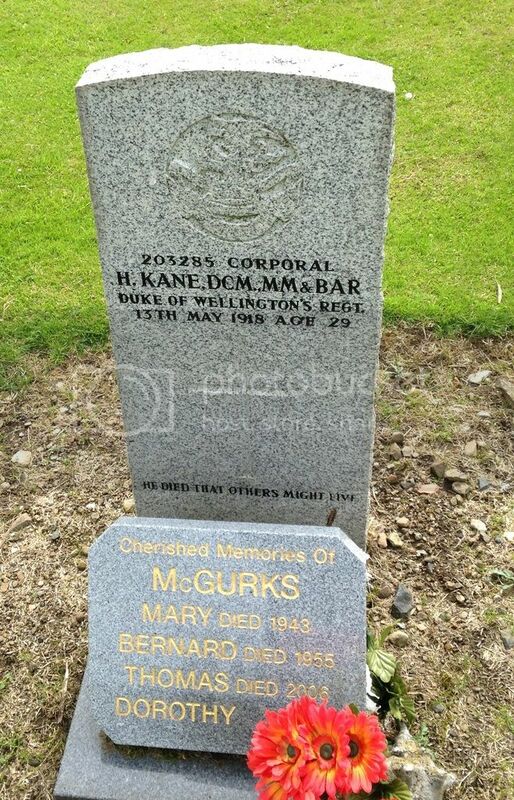 Son Of James And Margaret Kelly of Lochore. Grave Reference: Sec. J. Grave 362. Additional Info. 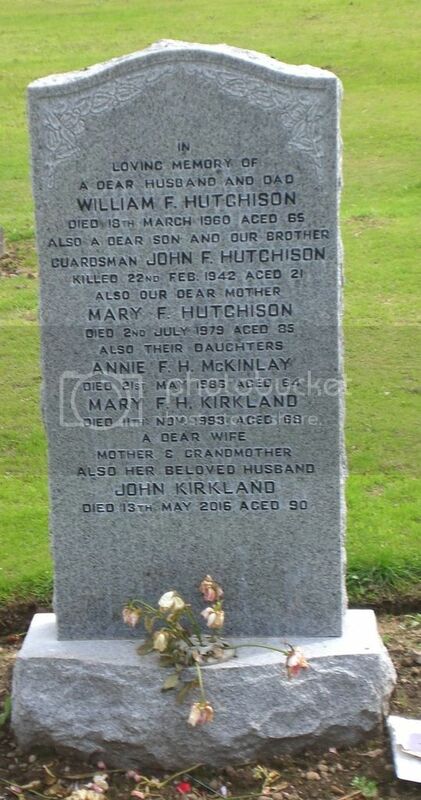 Daughter of John And Catherine Mackie of Lochore. 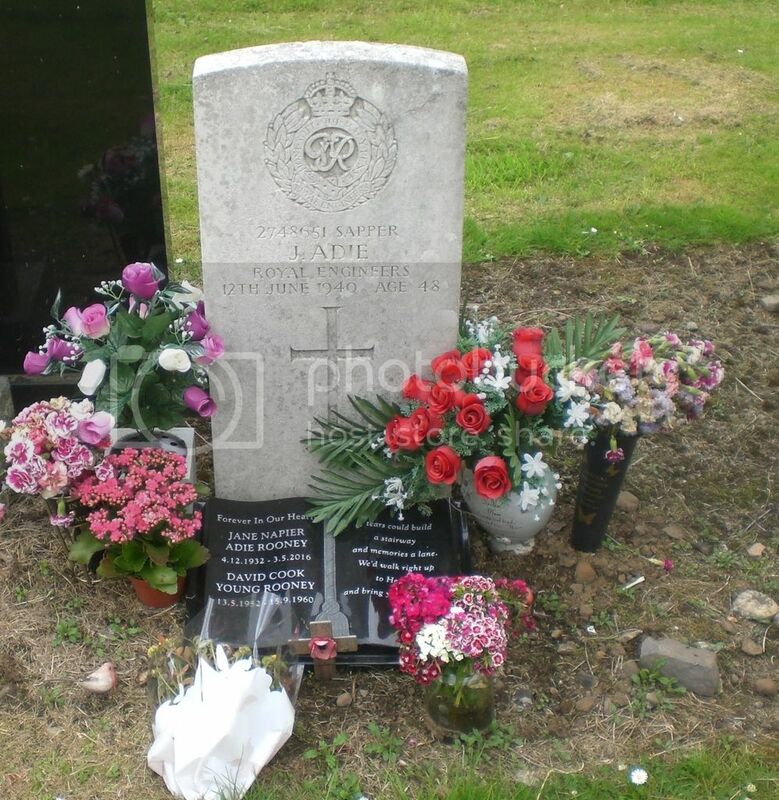 Grave Reference: Sec. H. Grave 82. Additional Info. 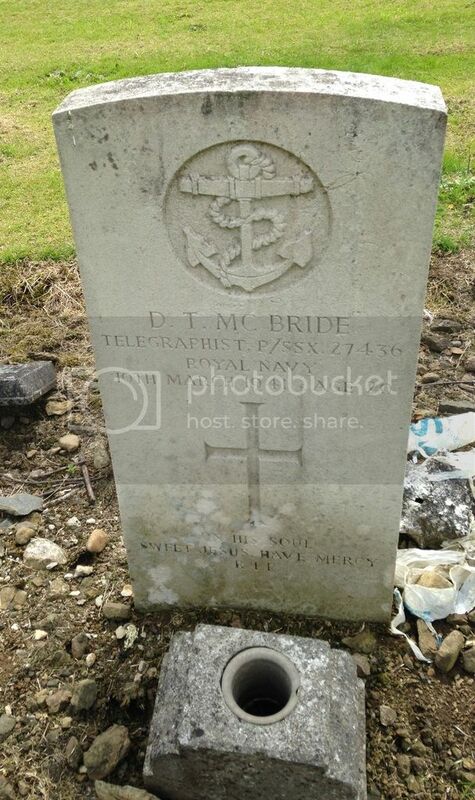 Son of John And Elizabeth Mcbride of Lochore.